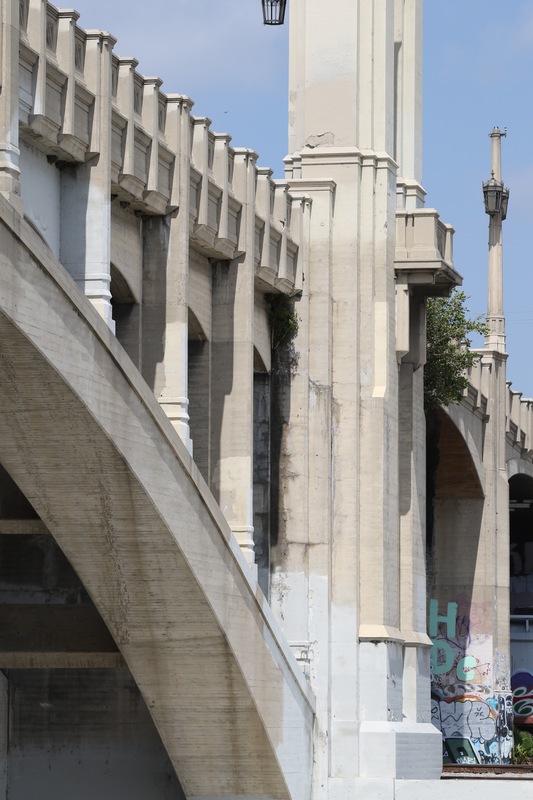 LA River bridges tour, part 2 | ride. travel. live. 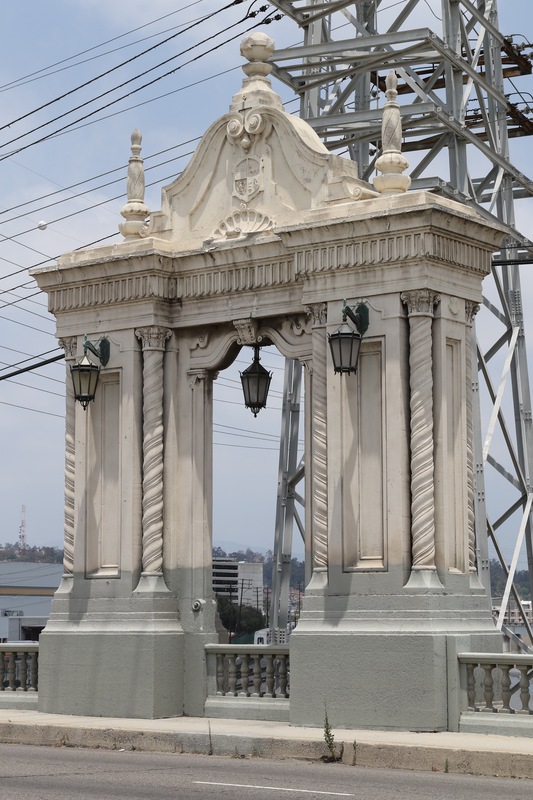 My tour continued east past the vast complex of jails, bail bond businesses, and led to the Cesar Chavez Avenue Bridge, once known as the Macy Street Bridge (1926). It’s a very elegant structure, with a neo-Spanish theme, probably one of my favorites. The theme here is the curve, right-handed, left-handed, scrolls, you name it. I turned right (south) at the traffic light, and crossed under the freeway, past some more public housing, and this brought me to the 1st Street Bridge (1929). It’s also a reconstruction, widened recently to accommodate the new streetcar line between Union Station and East Los Angeles. It marks the northern end of the Arts District, with the very long, ambitious One Santa Fe mixed-use complex (Michael Maltzan) abutting the bridge. 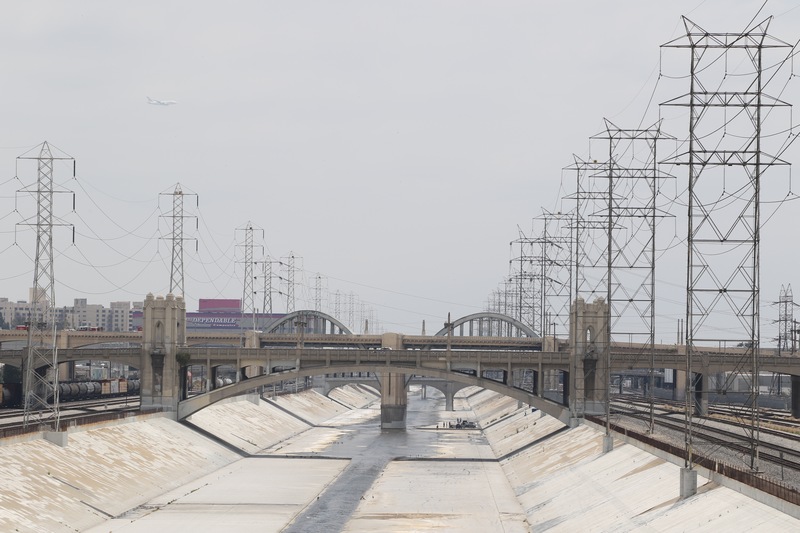 It’s the anchor of the district, echoing the horizontal nature of the area, think railroad tracks, railyards, the LA River, and Sci-Arc across the street. 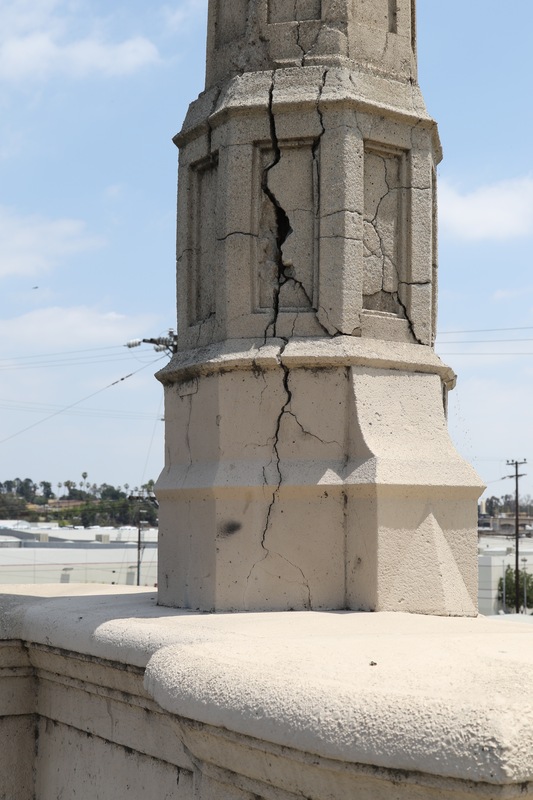 The 4th Street Bridge (1930) is getting a bit crumbly. I crossed under the bridge on Santa Fe Avenue, and went up the west side staircase. It’s normally a pretty messy stairway, either with broken glass or human waste, or people sleeping there. It was somewhat clean for a change this time around. 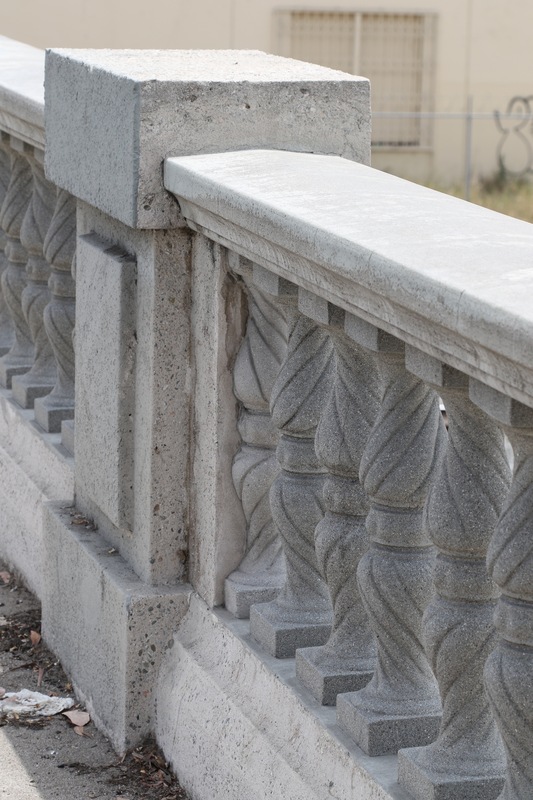 Unlike its neighbors to the north, the bridge has a distinct Art Deco theme to it, with clean, sober lines throughout, mixed in with a funky decorative guardrails. Like many of the bridges, there are these large decorative towers / alcoves, which were probably intended as viewpoints and places to sit. But they’ve turned into informal dumps, not surprising given that pedestrian traffic is pretty minimal and the area is a magnet for the homeless, pushed further east by a gentrifying downtown.